2015-16 SEASON: Played in 73 games (69 starts) with Orlando, averaging 10.7 ppg., a team-high 6.4 apg., 3.6 rpg. and 1.22 stlpg. in 29.4 minpg.…Had an assists-to-turnover ratio of 2.64 (467/177)…As a starter, averaged 10.8 ppg., 6.4 apg., 3.6 rpg. and 1.26 stlpg. in 29.6 minpg….Tied for 12th in the NBA in assists, ranked 15th in assists-to-turnover ratio and 40th in steals…Led (or tied) the team in scoring six times, in rebounding three times and in assists a team-high 46 times…Scored in double figures 40 times and had 20+ points seven times, including a career-high 24 points on Nov. 18 vs. Minnesota…Dished out 10+ assists 17 times, including a season-high 12 assists three times, the last on Mar. 29 vs. Brooklyn…Had triple-double (third of career) on Mar. 23 @ Detroit with 20 points, 10 rebounds and 10 assists…Tied Hedo Turkoglu for the most triple-doubles all-time in franchise history…Also became just the second player in team history to record a triple-double as a reserve (Brian Shaw, Dec. 29, 1995 vs. L.A. Clippers)…Recorded 14 double-doubles… Pulled down a career-high-tying 10 rebounds three times, the last on Mar. 23 @ Detroit…Recorded at least one steal 51 times and had two-or-more steals 22 times, including a season-high five steals on Dec. 9 @ Phoenix and Dec. 20 vs. Atlanta…Missed nine total games due to injury – missed four games (Jan. 4-9) due to a left ankle contusion and five games (Mar. 11-18) due to a sprained right elbow…During 2016 NBA All-Star Weekend, recorded one rebound and one steal in 16 minutes during the Rising Stars Challenge. PROFESSIONAL CAREER: Appeared in 155 regular season games (132 starts) during his NBA career, all with Orlando, averaging 9.7 ppg., 6.5 apg., 3.9 rpg. and 1.49 stlpg. in 29.9 minpg.…Named to the 2014-15 NBA All-Rookie First Team. 2014-15: Played in all 82 games (63 starts) during his rookie campaign with Orlando, averaging 8.9 ppg., a team-high 6.5 apg., 4.3 rpg. and a team-high 1.73 stlpg. in 30.3 minpg.…Had an assists-to-turnover ratio of 2.63 (533/203)…Named to the NBA All-Rookie First Team and finished fourth in voting for NBA Rookie of the Year…Became the first rookie to play in all 82 games since Dwight Howard in 2004-05 and the first player since 2009-10…Was the 21st player in Magic history to accomplish the feat (31st time)…As a starter, averaged 9.5 ppg., 7.1 apg., 4.6 rpg. and 1.87 stlpg. in 32.7 minpg….Ranked 13th in the NBA in steals, 14th in assists and 16th in assists-to-turnover ratio…Also ranked among all NBA rookies in scoring (8th), rebounding (T-8th), assists (1st), FG percentage (7th), steals (2nd) and minutes played (4th)…Led (or tied) the team in scoring four times, in rebounding six times and in assists a team-high 64 times…Scored in double figures 38 times and had 20+ points three times, including 22 points on Jan. 16 vs. Memphis and Mar. 20 vs. Portland…Dished out 10+ assists 13 times, including a career-high 13 assists on Mar. 27 vs. Detroit…Recorded two triple-doubles: Had 15 points, 12 assists and 10 rebounds on Mar. 18 @ Dallas…Tallied 22 points, 10 rebounds and 10 assists on Mar. 20 vs. Portland…Became the first player in Magic history to record consecutive triple-doubles and the seventh rookie to accomplish the feat in NBA history (first since Antoine Walker in April 1997)…Recorded ten double-doubles…Had first career double-double on Dec. 19 vs. Utah with 11 points and 11 assists…Pulled down 10+ rebounds three times…Recorded at least one steal 66 times and two-or-more steals 41 times, including a career-high six steals on Feb. 9 @ Washington…Recorded at least one blocked shot 18 times and had two-or-more twice…Named NBA’s Eastern Conference Rookie of the Month for January…Averaged 10.7 ppg., 6.9 apg. and 1.87 stlpg. during the month…Became only the third player in NBA history to record seven-or-more assists in his first four career games (Oscar Robertson, John Wall)…Made his NBA regular season debut and his first NBA start on Oct. 28 @ New Orleans, tallying four points, a game-high seven assists, five rebounds and one steal in 31 minutes…Became the first rookie in Magic history to start at point guard…During 2015 NBA All-Star Weekend, recorded two points, three rebounds and three assists for the United States in the BBVA Compass Rising Stars Challenge. CAREER TRANSACTIONS: Selected by Philadelphia in the first round (tenth overall) of the 2014 NBA Draft…Draft rights traded from Philadelphia to Orlando in exchange for the draft rights to Dario Saric, a future first round draft pick and a future second round draft pick (Jun. 26, 2014). COLLEGE CAPSULE: Appeared in 100 career games during three years at the University of Louisiana at Lafayette, averaging 14.3 ppg., 5.1 rpg., 4.9 apg. and 1.97 stlpg. in 31.6 minpg…Left as the school’s all-time leader in steals with 197…As a junior (2013-14), played and started all 35 games, averaging a team-high 19.2 ppg., 6.0 rpg., 5.9 apg. and 2.29 stlpg. in 35.9 minpg., while shooting .509 (237-466) from the floor…Led the Ragin’ Cajuns to a 23-12 record and their first NCAA Tournament berth since 2005…Named the 2013-14 Lefty Driesell National Defensive Player of the Year and a Lou Henson All-American...Earned First Team All-Sun Belt Conference honors for the second straight season and was the Sun Belt Conference Defensive Player of the Year...Led the conference in steals for the second straight year with 80...Scored 20+ points 14 times, had 30-or-more points four times and attempted a school-record 302 free throws (second in the nation)…One of only ten NCAA Division I players to record a triple-double with 34 points, 11 rebounds and 11 assists on Jan. 4 vs. Louisiana-Monroe…During his sophomore season (2012-13), played and started all 33 games, averaging a team-high 15.9 ppg., 5.6 rpg., 5.5 apg. and 2.42 stlpg. in 35.5 minpg., earning First Team All-Sun Belt Conference honors...The only player in NCAA Division I to average 15.0 ppg., 5.0 rpg., 5.0 apg. and 2.00 stlpg….Led the Sun Belt Conference in assists and steals, ranked second in minutes played, third in scoring, fifth in assists-to-turnover ratio (1.60) and ninth in field goal percentage (.475)…As a freshman (2011-12), played in all 32 games (11 starts), averaging 7.2 ppg., 3.6 rpg., 3.0 apg. and 1.16 stlpg. in 22.7 minpg., leading the team in assists. 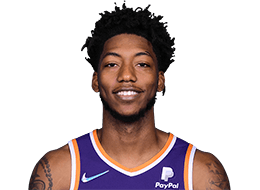 ONE-ON-ONE: Son of Elfrid, Sr. and Danielle Payton…The second of six children, having five sisters…Father played defensive end at Grambling and in the CFL…He is a Canadian Football Hall-of-Famer, tallying 154 career sacks…Helped the United States to a gold medal at the 2013 FIBA U19 World Championships in Prague, averaging 6.1 ppg., 3.3 rpg., 2.1 apg. and 2.3 stlpg., while shooting .575 (23-40) from the floor and starting all nine games in the tournament…Teammates on that U19 team with Aaron Gordon…Was a general studies major while at Louisiana-Lafayette…Became just the third player in ULL history to be drafted in the first round (Andrew Toney, eighth pick, 1980; Kevin Brooks, 18th pick, 1991)…During the 2015-16 season, served as the Magic’s ambassador to the NBA FIT program, which promoted healthy, active lifestyles for children and adults…Surprised students at Rock Lake Elementary School in 2016 as a reward for their participation in the Magic FIT program…Served Thanksgiving breakfast to residents at the Coalition for the Homeless in 2015…A hidden talent is his ability to juggle…Fan of the NFL’s New Orleans Saints…You can follow him on Twitter: @elfrid.